This piece was taken from the latest NCM Magazine issue, Summer 2018, available online now. Read the full article here. In the complicated world of development and empowerment, it would be easy to get lost in the facts. Of the approximately 18,000 who call Downtown Eastside home, about 10,000 are living in poverty. That’s over half of the population who struggles to make ends meet. Many struggle with addiction, too. Emergency services receive dozens of calls each day addressing drug overdose. 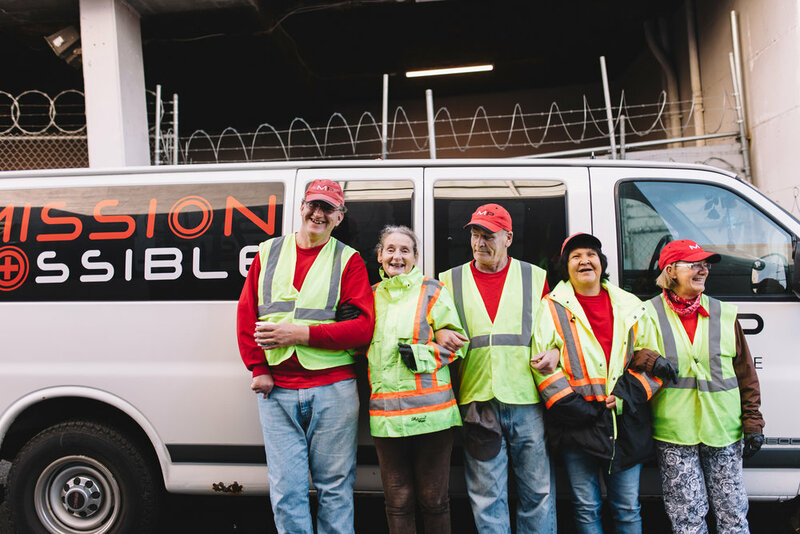 In the 25 years it’s been serving the Downtown Eastside, Mission Possible has transformed to better serve the community. 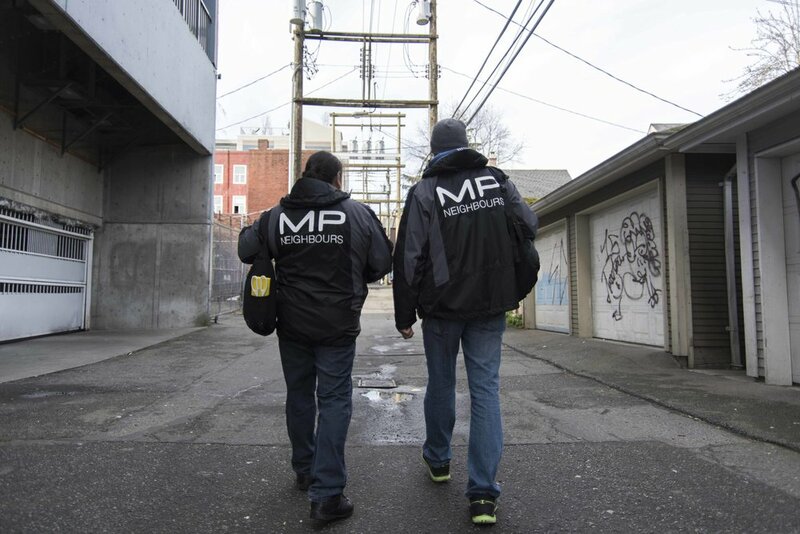 About ten years ago, the organization started developing employment opportunities for the people of Downtown Eastside. 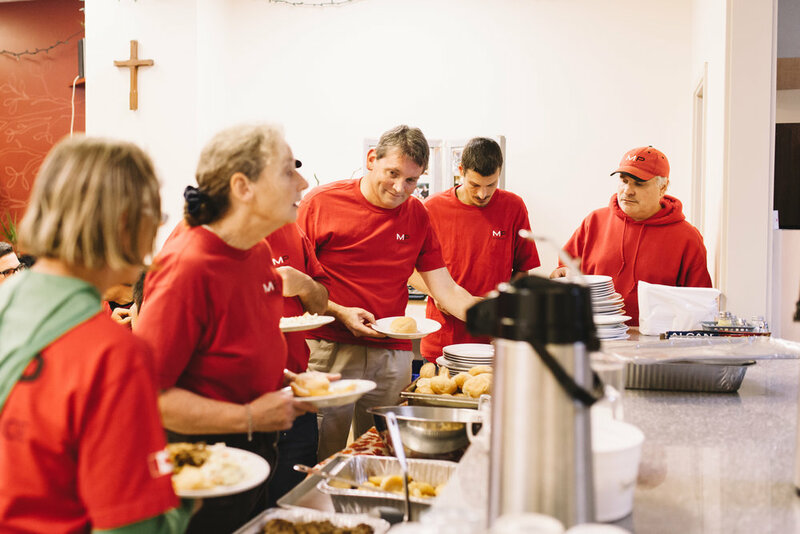 Rather than only providing for physical needs, the group wanted to address the dignity that everyone – no matter where they were in life – inherently has. Matthew Smedley, the organization’s Executive Director and CEO, says that their main goal is to make a difference for the neighborhood’s residents. “It’s been kind of a long journey of kind of building and adapting to create what we have today, and probably we’ll find other iterations into the future, but we’re really just trying to leverage what we have to make a difference for the people who are here,” Matthew says. So far, that program model seems to be working. Mission Possible provides six-month positions for people who are trying to turn their lives around. Even the name of the program shows Mission Possible’s commitment to community: MP Neighbors. Those hired for the contract join fulltime employees in cleaning up the streets and engaging with people who call them home. "J" found Mission Possible just when he needed it. 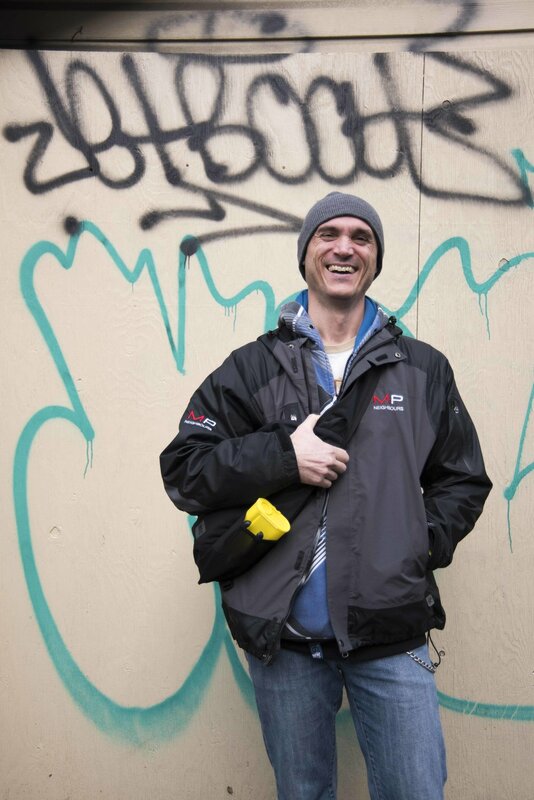 He had been struggling with bouts of depression and addiction, and ended up in Downtown Eastside to blend in, he says. Shortly after these revelations about God in his life, J was living in an SRO, or single room occupancy, which is a form of affordable housing. It just so happened that his SRO was in the same building as a drop-in center run by Mission Possible. He wanted to make a change in the way he was living to make sure he didn’t fall back into the same patterns he knew. He thought a good place to start might be volunteer work. Luckily, a friend employed by Mission Possible was able to lead him to apply for a position with MP Neighbors on a six-month contract. J had a gap in his employment while he battled addiction. What struck him, though, was that Mission Possible knew and took a chance on him anyway. After his six months ended, he got a call asking if we would be interested in working with Mission Possible fulltime. Now, he works as the Coordinator of Mission Possible Neighbors. Many employees have a similar time of unemployment and may not be sure how to keep jobs. During the six-month contract, they get a chance to become comfortable with employment again. They start with three days of workshops, though most of the language comes from experiencing the job and coaching, which all of the permanent staff is trained to do. That coaching is one of the things that makes Mission Possible unique. Coaches help empower the individuals working for Mission Possible. Rather than pushing certain jobs, they help employees identify what their own strengths are. Then, people can use their own abilities to achieve their goals rather than relying on the service itself. J was trained as a job coach when he was hired fulltime. That means he gets to help people discover what barriers might be preventing them from working and what they can do to make it over them. “It’s really amazing: once you give them a safe space and just the freedom to express themselves honestly and authentically, they come up with their own answers to the questions,” he says. Many of the people who start on a short-term contract end up working for Mission Possible full time. Since six months isn’t very long, Mission Possible makes sure to try to provide as much help as possible along the way. MP Neighbors employees meet with coaches bi-weekly, and one team member’s job is specifically designed to help with the transition to looking for jobs. Read more in the Summer 2018 edition of NCM Magazine.